We helped our buyers acquire this tenant occupied home for a great price. Soon they will be able to move in and make it their own. 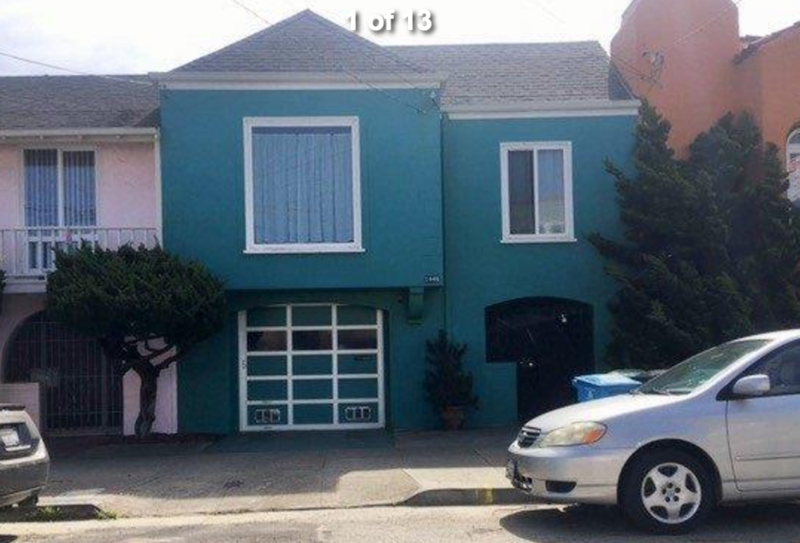 From the MLS: Spectacular Tunnel Entrance Full Five Outer Sunset home located near Ocean Beach, Golden Gate Park, Outerlands and Judah Street transportation. 2 bedrooms (1 master with walk-thru closet) that overlook the large backyard, and 1 remodeled bathroom with skylights on the main level. Living room has classic 1930’s era fireplace with original plaster crown molding and parquet floors. Spacious formal dining room! Kitchen has window over sink and solid wood cabinets. Dual pane windows, visible copper plumbing and visible new sewer line and new furnace! Bonus room in garage with washer & dryer and room for 2 cars! Superb location near great schools, shopping, dining, and great public transportation via Downtown San Francisco. Huge 25 X 120 lot!